OPPO had launched the ‘OPPO R7s‘ in China, this is the same device that was announced at the GITEX 2015 event held in Dubai, this is the fourth smartphone in the R7 series. 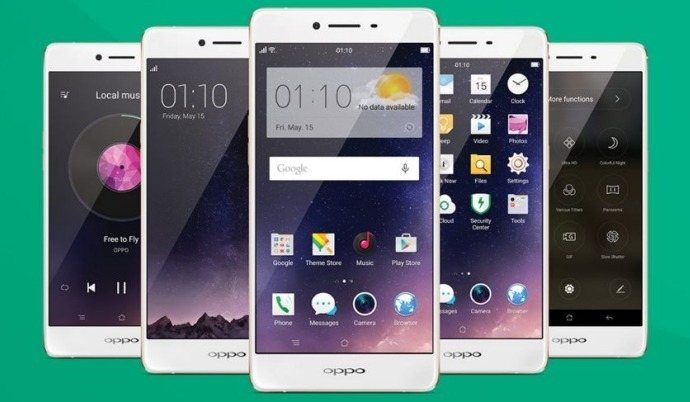 The other devices in the same series include OPPO R7, OPPO R7 Lite, and OPPO R7 Plus. The device is built into a metallic body like the other R7 series devices and measures just 6.95mm thick. This is also the first smartphone from OPPO to come with 4GB RAM. The device sports a 5.5-inch AMOLED display with FULL HD resolution with 2.5D Glass on top of it. The display comes with 2.2mm ultra narrow bezels and Gorilla Glass 3 protection. It is powered by the same 64-bit Snapdragon 615 octa-core processor that was earlier on other R7 devices. Apart from 4GB of RAM, it has 32GB of internal storage and a microSD card slot for storage expansion. We can expect some decent captures from the camera on OPPO smartphone and the camera on this device doesn’t disappoint. It has a 13MP rear camera with an aperture of f/2.2 and LED flash, on the front it comes with an 8MP selfie camera with f/2.4 aperture and OPPO’s beautify 3.0 filters. There is a 3,070mAh non-removable battery with VOOC flash charging support. It can give 2 hours of talk time with just 5 minutes of charging and with a full charge the device can give almost 13 hours of talk time. With the updated VOOC technology, the battery on this device charges from 0% to 90% in just 50 minutes. The new upgraded ColorOS 2.1 which is based Android 5.1 Lollipop launches the apps way faster than other Android Lollipop based devices. With the new optimized OS, the device boots in less than 30% of the time taken by the earlier OPPO devices. The company also included few unique features like Quick Shake and Automatic Cleaning. The device supports dual SIM dual standby by using the latest hybrid SIM slot where you can use a MicroSD card instead of the second SIM. Connectivity on this device includes 4G LTE, Wi-Fi, Bluetooth 4.0, OTG, GPS/A-GPS and a MicroUSB 2.0. It will be available in the Silver and Golden color options. The 3GB variant is priced at 2,599 Yuan (approx $410) and the 4GB RAM variant is priced at 2,799 Yuan (approx $441). The 3GB variant is already available for sale while the registrations for the 4GB variant starts from today. The device is expected will be launched in Australia and selected Asian markets in November. In the U.S and European markets, it is expected to be launched in December.